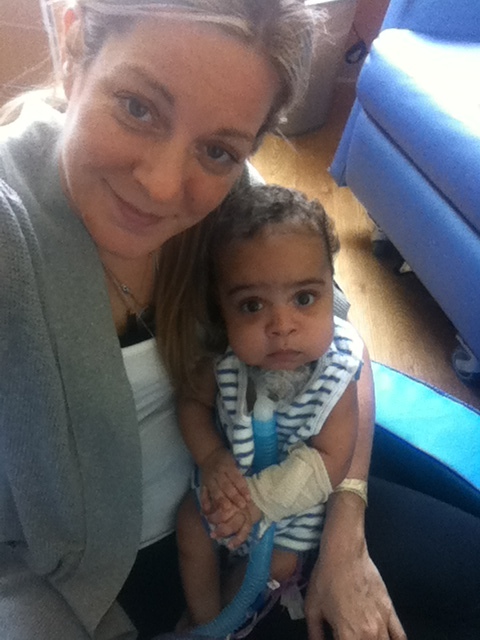 In our September edition of our Preemie Family newsletter we learned about Jackson Chance Meghie, who was born at 30 weeks and 6 days, weighed in at 3 lbs. 11 oz. Jackson spent 300 days and 2 days at home. Read more in an update by his mother, Carrie Meghie (who is also heads up The Jackson Chance Society). “My heart is broken and filled with more sorrow than I knew possible, but, amazingly, there remains some joy. Jackson was so special. We are grateful for the past ten months.” These are words I never in my life imagined saying, but I shared them with friends and family in September of 2012. 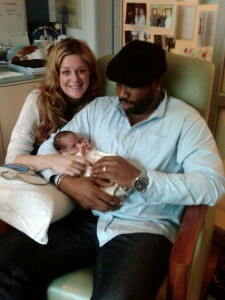 On 11/11/11 at 11:11pm, my life changed in so many ways when my son Jackson was born premature. Jackson was truly as special as his birthday was unique. Jackson spent all but 48 hours of his short life in the NICU, and they were the happiest ten months of my life. Every night with Jackson felt like Christmas Eve as a child, as I went to sleep excited to wake up and rush to see my baby. I will cherish the memory of running into his room and seeing his beautiful brown eyes look up at me and give me a huge smile. He took full advantage of his gorgeous eyelashes by flirting with all of the nurses. I am proud of his numerous girlfriends, who we know, without a doubt, truly loved him. Jackson brought us more joy in his short ten months than we could have hoped for in a lifetime. I am sad that so few people got to know Jackson, as he was very social and loved people. He would sit up in his crib and watch the other babies and the nurses. He was a music fan and loved it when the nurses danced for him. He was so cute that we actually discussed his “cuteness” during rounds each day. He was destined to be a soccer player, dancer or even a swimmer, as his feet were always kicking. The few lucky ones who got to meet Jackson were truly amazed by his spirit. He was, by far, the happiest baby I have ever met. We always thought Jackson would come home and live a long life with us; we never considered the possibility that he would not make it home until right at the very end. Jackson passed away in my arms while holding his father’s hand on September 7, 2012 just shy of ten months old. My husband and I were blessed to have the resources and support to spend each and every day with Jackson. We were able to find so much joy in the NICU and create an environment where the hospital became an extended family to us and Jackson. We wholeheartedly believe that the time we spent with Jackson contributed to his happiness and well-being during his short life. After Jackson’s passing, my husband and I started the Jackson Chance Foundation with the goal of helping other families and babies find the same happiness and joy that we did. The NICU was our family’s home away from home, and we know firsthand the challenges parents face while having a child in the hospital. We witnessed families struggling to pay for parking; parents desperate to see their children, but held back with work commitments; mothers and fathers forced to leave their babies alone in the NICU despite their best efforts to visit. To our surprise, we found that parking and transportation became our largest out of pocket expense. Can you imagine the cost of parking or transportation being the barrier preventing you from seeing your critically ill baby? The Jackson Chance Foundation is working to ensure that the financial burden of parking and transportation does not stand in the way of any parent seeing their child. In partnership with Ann & Robert H. Lurie Children’s Hospital of Chicago, in September 2013 the Jackson Chance Foundation created the NICU Transportation Program. We are very proud to share that no family with a baby in the NICU at Lurie Children’s pays for parking or transportation any longer! I guess life is always full of surprises. I never imagined that I would be reminded so soon why the need for assistance in the NICU is so great. On November 27, 2013, just like his big brother, my second born, Maxson J. couldn’t wait to meet us and was born just under six weeks premature. I am happy to say that his NICU stay was brief and Max is home and healthy. I have no doubt that my angel sent us back to his “home” as a reminder to keep doing what we are doing. We hope that Jackson’s memory will continue to live on by touching families with babies in the NICU. Our goal at the Jackson Chance Foundation is to help others “Enjoy the Moment!”—just like Jackson did. 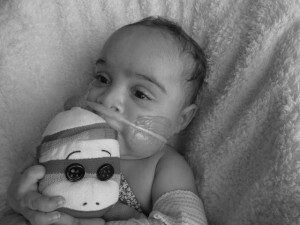 For more information on The Jackson Chance Foundation, visit www.jacksonchance.org.